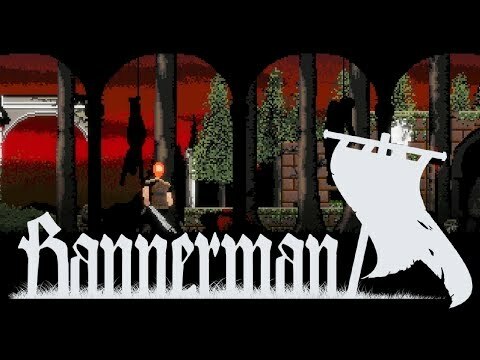 Bannerman is a historically accurate side scrolling combat game taking place in dark medieval times. The player plays as a swordsman traveling through a war torn land in pursuit of his lord’s banner, fighting off enemies with various weapons and skills along the way. The game aims to focus on the combat aspect of the medieval setting, including sword and shield techniques, hand to hand combat, armor and more. Although the game is created in a simplistic 16 bit style, the motions of characters are fluid and realistic. Not only that, but the game is extremely gory. In the Bannerman Trailer in large block letters flashing over a montage of various combat scenarios are the words “kill, bash, dismember, puncture, massacre, murder, kill, kill, kill”. But this isn’t a game you can just mindlessly slaughter dozens of foes in - the game is literally built on fighting techniques of the ages (hence the historically accurate part,) and the AI is well versed on what is advantageous. In other words, the player is going to have to learn how to wield their blade like a true warrior, and fight like a real one. The concept may be simple but it’s going to take more than a frenzy of button mashing to get through Bannerman. The sword fighting requires the player to time their moves correctly, blocking and counter-attacking without being laid out by the enemies weapons. The way Armitage Games managed to create such accurate movements including parrying and blocking was by rotoscoping animations from real life poses and movements, so although Bannerman is a 16 bit style game, the animation is much more accurate and detailed than other games of the same visual caliber. 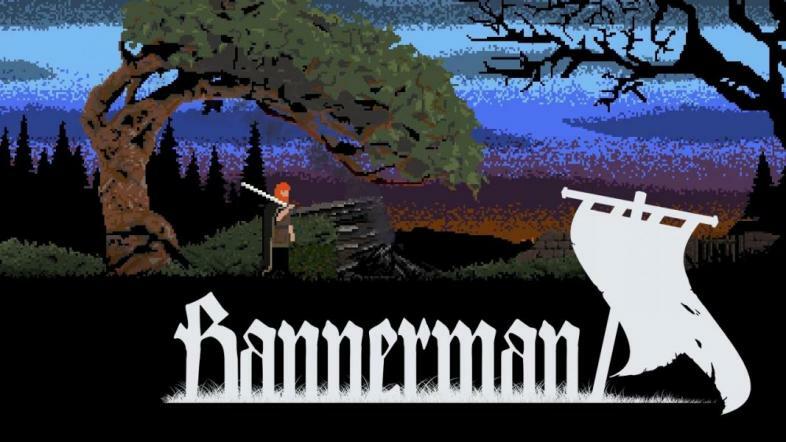 Bannerman launches August 31st on Steam.